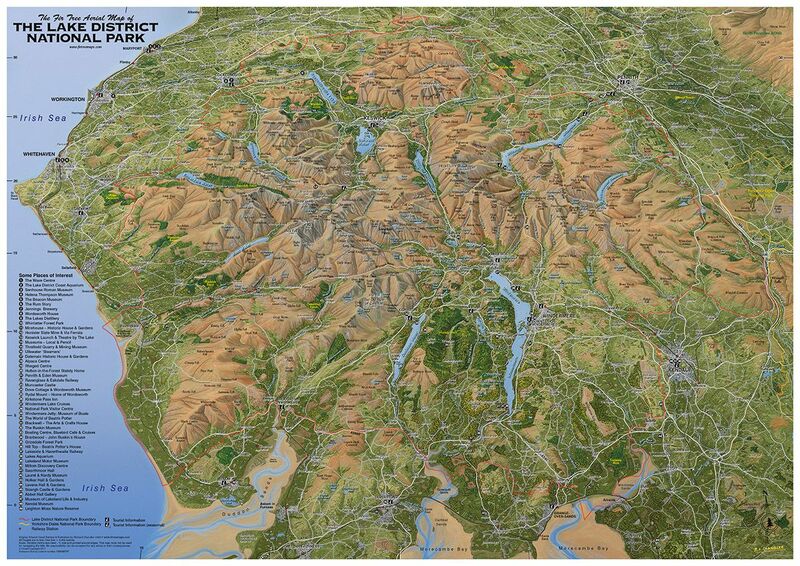 The original image has been HAND PAINTED by Cartographic Artist Richard Chandler at a smaller scale to the original Fir Tree Aerial Map of the Lake District. It depicts the whole of the National Park and The Cumbrian Coastline from Allonby to Arnside on one sheet. 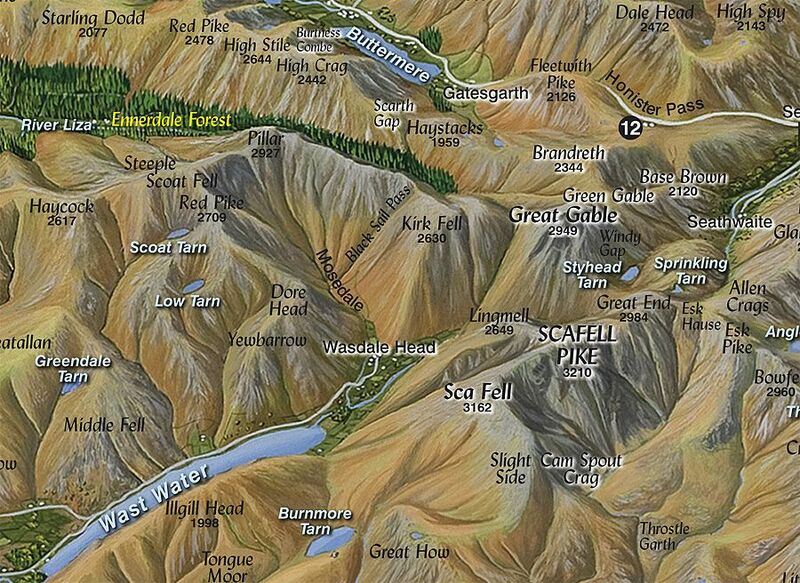 The map is available without creases or cover for framing or mounting. The aerial mapping is very easy to read and unlike conventional maps gives a unique and colourful panorama of the landscape. 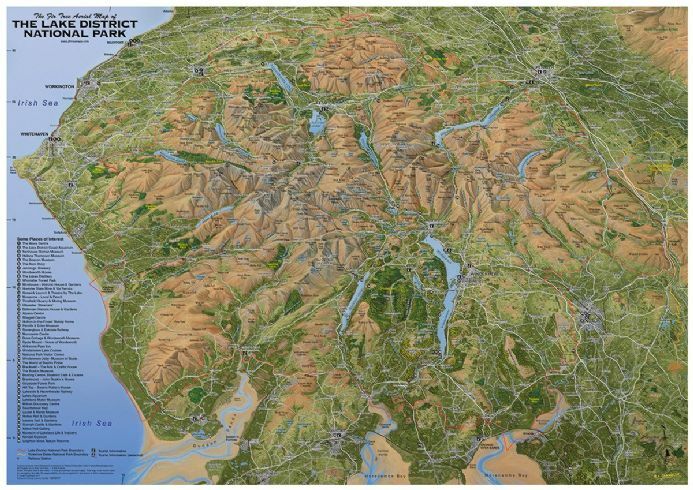 Nearly 50 places of interest are clearly marked and unlike many other maps produced for The Lakes the map extends beyond the most popular areas to give a ‘sense of place’ in relation to the Cumbrian Coastline. Printed on High quality art paper with lightfast ink. 2017 - Updated to include the new National Park Boundary in the East and It also shows the extended Yorkshire Dales National Park boundary.